Get next-level performance in a remarkably small and versatile device. With flexible configuration and deployment options, it's the obvious choice for the modern workplace. 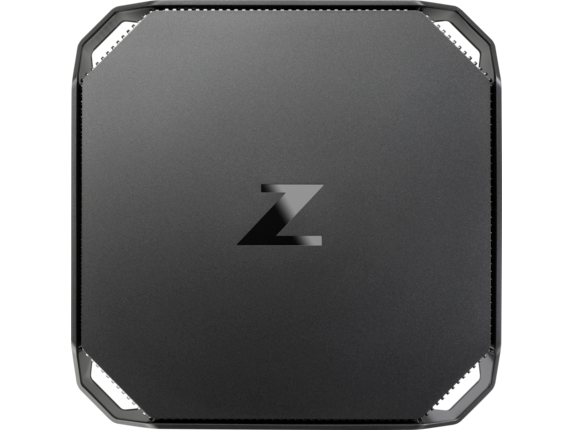 Designed for those who shape the world around us, the Z2 Mini delivers advanced performance for 2D drafting and 3D design workflows. Create realistic models and get real-time interactivity with detailed 3D structures. Speed up your creative process with the perfect device for 2D design workflows. Get lag-free performance when working in multiple layers and performing complex tasks. Plus, you have plenty of space to organize and store your large high-resolution files. Bring real-world capabilities to your education labs with workstation-class power and certification for the most popular professional applications. Protect your investment while saving space by using the VESA mounting sleeve with security features. Get workstation-class performance in a desktop 1/4 the size of our Z2 Small Form Factor. Top cover opens for easy access to internal components. Avoid system crashes in the middle of your workflow. Error Correction Code memory detects and corrects soft errors in the memory system on the fly. Reduce boot up, response, and file uploads with up to 1 TB of M.2 storage and up to 3 TB of total system storage. With 2x the graphics performance over last gen, you can render complex, detailed 3D models faster. Get unthrottled performance on demanding multi-tasking or parallel workflows. Ideal for when you want to keep your workspace clear. Rack mount 56 units in a 42U rack for virtualized installations. Drive up to 6 high-resolution displays. Our engineers have designed the thermals to optimize airflow for efficient, whisper-quiet performance during heavy workloads. Hardware-enforced, self-healing protection that automatically recovers the BIOS and other critical firmware. Your critical applications and processes keep running with self-healing protection â€” even if malware tries to shut them down. Speeds up image creation and management of hardware, BIOS, and security through Microsoft SCCM. Ideal for users who need perfect color and increased productivity. Enjoy effortless click-to-click zooming in CAD applications. Perfect for users who need more vertical screen space and convenient connections. Based on HP's internal analysis of ISV-certified mini workstations as of July 2018, and power based on maximum processor, graphics, memory. HP Sure View integrated privacy screen is an optional feature planned to be available first quarter 2017 and must be configured at purchase. HP Sure Start Gen4 is available on HP Elite and HP Pro 600 products equipped with Intel® 8th generation processors. HP Sure Click is available on select HP platforms and supports Microsoft® Internet Explorer and Chromium™. Check http://www8.hp.com/h20195/v2/GetDocument.aspx?docname=4AA7-0922ENW for all compatible platforms as they become available. Get next-level performance with a remarkably small and versatile device that can handle single and multi-threaded software. With the ability to support the latest technology and workforce demands, it's the obvious choice for the modern workplace. Protected by HP global standard limited warranty of 3 years parts, labor and on-site service. Terms and conditions may vary by country. Certain restrictions and exclusions apply. 24/7 operation will not void the HP warranty. Intel® Optane™ memory (cache) is sold separately. Intel® Optane™ memory system acceleration does not replace or increase the DRAM in your system and requires configuration with an Intel® Core™ i+ processor. For storage drives, GB = 1 billion bytes. TB = 1 trillion bytes. Actual formatted capacity is less. Up to 36GB of system disk (for Windows 10) is reserved for system recovery software. Wireless access point and Internet service required and sold separately. Availability of public wireless access points limited. The specifications for the 802.11ac WLAN are draft specifications and are not final. If the final specifications differ from the draft specifications, it may affect the ability of the system to communicate with other 802.11ac WLAN devices. 3 DisplayPort 1.2 in Performance model. HP Client Security requires Windows and Intel® or AMD 7th or 8th generation processors. HP Performance Advisor and HP Remote Graphics Software requires internet access. Non-ECC memory is supported on all processors. ECC is only enabled on Xeon, Pentium and i3 core processors. 200W Power Supply and 230 W external power adapter in Performance Model only. Intel® Optane™ available Fall 2018. AMD Radeon™ Pro WX 4150 available Fall 2018. HP Sure Start Gen4 is available on HP Workstation products equipped with Intel® 8th generation processors. HP Sure Run is available on HP Workstation products equipped with 8th generation Intel® or AMD® processors. HP Sure Recover is available on HP Workstations with 8th generation Intel® or AMD processors and requires an open, wired network connection. Not available on platforms with multiple internal storage drives, Intel® Optane™. You must back up important files, data, photos, videos, etc. before using HP Sure Recover to avoid loss of data. Configurations with the Xeon E-2124G, E-2126G, E-2136, E-2144G, 2174G and E-2176G offered on the Mini Performance model only. HP Z2 Mini G4 Workstation can only support one storage device: either one SATA or one NVMe, not both. 1 extra DisplayPort™, 1 USB Type-C™ on performance model. 1 Not all features are available in all editions or versions of Windows. Systems may require upgraded and/or separately purchased hardware, drivers, software or BIOS update to take full advantage of Windows functionality. Windows 10 is automatically updated, which is always enabled. ISP fees may apply and additional requirements may apply over time for updates. See http://www.windows.com 2 Multicore is designed to improve performance of certain software products. Not all customers or software applications will necessarily benefit from use of this technology. Performance and clock frequency will vary depending on application workload and your hardware and software configurations. Intel’s numbering, branding and/or naming is not a measurement of higher performance. 3 In accordance with Microsoft’s support policy, HP does not support the Windows® 8 or Windows 7 operating system on products configured with Intel and AMD 7th generation and forward processors or provide any Windows®8 or Windows 7 drivers on http://www.support.hp.com 4 Intel® Optane™ memory (cache) is sold separately. Intel® Optane™ memory system acceleration does not replace or increase the DRAM in your system and requires configuration with an Intel® Core™ i+ processor. 5 vPro. Some functionality of this technology, such as Intel Active management technology and Intel Virtualization technology, requires additional 3rd party software in order to run. Availability of future "virtual appliances" applications for Intel vPro technology is dependent on 3rd party software providers. Compatibility future "virtual appliances" is yet to be determined. 6 Intel Turbo Boost performance varies depending on hardware, software and overall system configuration. See http://www.intel.com/technology/turboboost for more information. 7 For storage drives, GB = 1 billion bytes. TB = 1 trillion bytes. Actual formatted capacity is less. Up to 36GB of system disk (for Windows 10) is reserved for system recovery software. 8 Optional or add-on feature 9 HD content required to view HD images. 10 Intel® HD graphics 630 is configurable as a standalone graphics option; Intel® HD graphics P630 only used when NVIDIA® Optimus™ Technology is enabled. 11Wireless access point and Internet service required and sold separately. Availability of public wireless access points limited. The specifications for the 802.11ac WLAN are draft specifications and are not final. If the final specifications differ from the draft specifications, it may affect the ability of the system to communicate with other 802.11ac WLAN devices. 12 3 DisplayPort 1.2 in Performance model. 13 HP Client Security requires Windows and Intel® or AMD 7th or 8th generation processors. 14 HP Performance Advisor and HP Remote Graphics Software requires internet access. 15 EPEAT® registered where applicable. EPEAT registration varies by country. See www.epeat.net for registration status by country. Search keyword generator on HP’s 3rd party option store for solar generator accessories at www.hp.com/go/options. 16 Non-ECC memory is supported on all processors. ECC is only enabled on Xeon, Pentium and i3 core processors. 17 External power supplies, power cords, cables and peripherals are not low halogen. Service parts obtained after purchase may not be low halogen. 18 Some devices for academic use will automatically be updated to Windows 10 Pro Education with the Windows 10 Anniversary Update. Features vary; see https://aka.ms/ProEducation for Windows 10 Pro Education feature information. 19 Intel® Optane™ memory (cache) is sold separately. Intel® Optane™ memory system acceleration does not replace or increase the DRAM in your system and requires configuration with an Intel® Core™ i+ processor. 20 1 Flexible I/O port with options: DP 1.2, HDMI, VGA, USB 3.1 Type C with Alt-DP mode, Thunderbolt 3.0, RJ-45 Ethernet (2nd LAN) or None 21 200W Power Supply and 230 W external power adapter in Performance Model only. 22 Intel® Optane™ available Fall 2018. 23 AMD Radeon™ Pro WX 4150 available Fall 2018. 24 HP BIOSphere Gen4 features may vary depending on the PC platform and configurations requires 8th Gen Intel® processors. 25 HP Manageability Integration Kit can be downloaded from http://www8.hp.com/us/en/ads/clientmanagement/overview.html 26 HP Client Security Suite Gen 4 requires Windows and Intel® or AMD 8th generation processors. 27 HP Sure Click is available on select HP platforms and supports Microsoft® Internet Explorer and Chromium™. Check http://h20195.www2.hp.com/v2/GetDocument.aspx?docname=4AA7-0922ENW for all compatible platforms as they become available. 28 HP Sure Start Gen4 is available on HP Workstation products equipped with Intel® 8th generation processors. 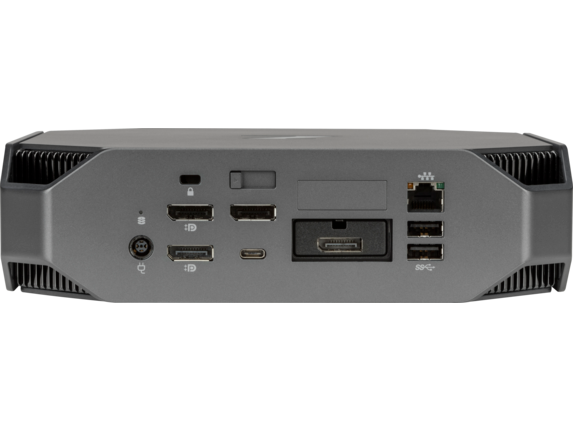 29 HP Sure Run is available on HP Workstation products equipped with 8th generation Intel® or AMD® processors. 30 HP Sure Recover is available on HP Workstations with 8th generation Intel® or AMD processors and requires an open, wired network connection. Not available on platforms with multiple internal storage drives, Intel® Optane™. You must back up important files, data, photos, videos, etc. before using HP Sure Recover to avoid loss of data. 31 External power supplies, power cords, cables and peripherals are not Low Halogen. Service parts obtained after purchase may not be Low Halogen. 32 Configurations with the Xeon E-2124G, E-2126G, E-2136, E-2144G, 2174G and E-2176G offered on the Mini Performance model only. 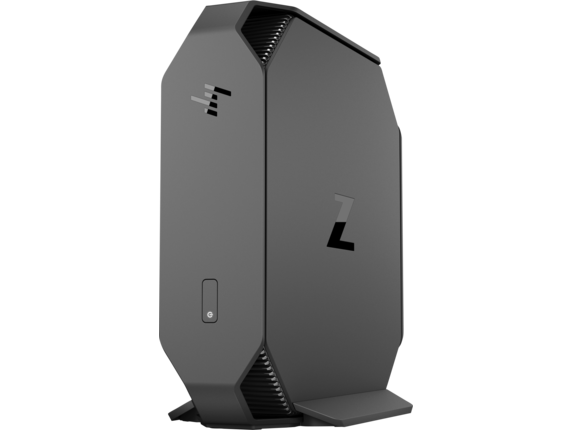 33 HP Z2 Mini G4 Workstation can only support one storage device: either one SATA or one NVMe, not both. 34 1 extra DisplayPort™, 1 USB Type-C™ on performance model. 1 Optional or configurable feature. 2 Mounting hardware sold separately. 3 HP Sure Start Gen4 is available on HP Workstation products equipped with 8th generation Intel® or AMD processors. 4 HP Manageability Integration Kit Gen2 can be downloaded from http://www8.hp.com/us/en/ads/clientmanagement/overview.html. 5 1 Not all features are available in all editions or versions of Windows. Systems may require upgraded and/or separately purchased hardware, drivers, software or BIOS update to take full advantage of Windows functionality. Windows 10 is automatically updated, which is always enabled. ISP fees may apply and additional requirements may apply over time for updates. See http://www.windows.com 2 Multicore is designed to improve performance of certain software products. Not all customers or software applications will necessarily benefit from use of this technology. Performance and clock frequency will vary depending on application workload and your hardware and software configurations. Intel’s numbering, branding and/or naming is not a measurement of higher performance. 3 In accordance with Microsoft’s support policy, HP does not support the Windows® 8 or Windows 7 operating system on products configured with Intel and AMD 7th generation and forward processors or provide any Windows®8 or Windows 7 drivers on http://www.support.hp.com 4 Intel® Optane™ memory (cache) is sold separately. Intel® Optane™ memory system acceleration does not replace or increase the DRAM in your system and requires configuration with an Intel® Core™ i+ processor. 5 vPro. Some functionality of this technology, such as Intel Active management technology and Intel Virtualization technology, requires additional 3rd party software in order to run. Availability of future "virtual appliances" applications for Intel vPro technology is dependent on 3rd party software providers. Compatibility future "virtual appliances" is yet to be determined. 6 Intel Turbo Boost performance varies depending on hardware, software and overall system configuration. See http://www.intel.com/technology/turboboost for more information. 7 For storage drives, GB = 1 billion bytes. TB = 1 trillion bytes. Actual formatted capacity is less. Up to 36GB of system disk (for Windows 10) is reserved for system recovery software. 8 Optional or add-on feature 9 HD content required to view HD images. 10 Intel® HD graphics 630 is configurable as a standalone graphics option; Intel® HD graphics P630 only used when NVIDIA® Optimus™ Technology is enabled. 11Wireless access point and Internet service required and sold separately. Availability of public wireless access points limited. The specifications for the 802.11ac WLAN are draft specifications and are not final. If the final specifications differ from the draft specifications, it may affect the ability of the system to communicate with other 802.11ac WLAN devices. 12 3 DisplayPort 1.2 in Performance model. 13 HP Client Security requires Windows and Intel® or AMD 7th or 8th generation processors. 14 HP Performance Advisor and HP Remote Graphics Software requires internet access. 15 EPEAT® registered where applicable. EPEAT registration varies by country. See www.epeat.net for registration status by country. Search keyword generator on HP’s 3rd party option store for solar generator accessories at www.hp.com/go/options. 16 Non-ECC memory is supported on all processors. ECC is only enabled on Xeon, Pentium and i3 core processors. 17 External power supplies, power cords, cables and peripherals are not low halogen. Service parts obtained after purchase may not be low halogen. 18 Some devices for academic use will automatically be updated to Windows 10 Pro Education with the Windows 10 Anniversary Update. Features vary; see https://aka.ms/ProEducation for Windows 10 Pro Education feature information. 19 Intel® Optane™ memory (cache) is sold separately. Intel® Optane™ memory system acceleration does not replace or increase the DRAM in your system and requires configuration with an Intel® Core™ i+ processor. 20 1 Flexible I/O port with options: DP 1.2, HDMI, VGA, USB 3.1 Type C with Alt-DP mode, Thunderbolt 3.0, RJ-45 Ethernet (2nd LAN) or None 21 200W Power Supply and 230 W external power adapter in Performance Model only. 22 Intel® Optane™ available Fall 2018. 23 AMD Radeon™ Pro WX 4150 available Fall 2018. 24 HP BIOSphere Gen4 features may vary depending on the PC platform and configurations requires 8th Gen Intel® processors. 25 HP Manageability Integration Kit can be downloaded from http://www8.hp.com/us/en/ads/clientmanagement/overview.html 26 HP Client Security Suite Gen 4 requires Windows and Intel® or AMD 8th generation processors. 27 HP Sure Click is available on select HP platforms and supports Microsoft® Internet Explorer and Chromium™. Check http://h20195.www2.hp.com/v2/GetDocument.aspx?docname=4AA7-0922ENW for all compatible platforms as they become available. 28 HP Sure Start Gen4 is available on HP Workstation products equipped with Intel® 8th generation processors. 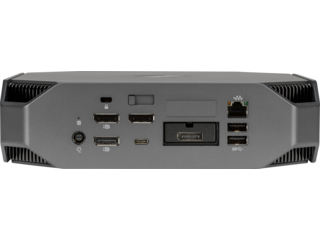 29 HP Sure Run is available on HP Workstation products equipped with 8th generation Intel® or AMD® processors. 30 HP Sure Recover is available on HP Workstations with 8th generation Intel® or AMD processors and requires an open, wired network connection. Not available on platforms with multiple internal storage drives, Intel® Optane™. You must back up important files, data, photos, videos, etc. before using HP Sure Recover to avoid loss of data. 31 External power supplies, power cords, cables and peripherals are not Low Halogen. Service parts obtained after purchase may not be Low Halogen. 32 Configurations with the Xeon E-2124G, E-2126G, E-2136, E-2144G, 2174G and E-2176G offered on the Mini Performance model only. 33 HP Z2 Mini G4 Workstation can only support one storage device: either one SATA or one NVMe, not both. 34 1 extra DisplayPort™, 1 USB Type-C™ on performance model. Optane Memory not supported with non-Core Pentium Processors. 1 Not all features are available in all editions or versions of Windows. Systems may require upgraded and/or separately purchased hardware, drivers, software or BIOS update to take full advantage of Windows functionality. Windows 10 is automatically updated, which is always enabled. ISP fees may apply and additional requirements may apply over time for updates. See http://www.windows.com 2 Multicore is designed to improve performance of certain software products. Not all customers or software applications will necessarily benefit from use of this technology. Performance and clock frequency will vary depending on application workload and your hardware and software configurations. Intel’s numbering, branding and/or naming is not a measurement of higher performance. 3 In accordance with Microsoft’s support policy, HP does not support the Windows® 8 or Windows 7 operating system on products configured with Intel and AMD 7th generation and forward processors or provide any Windows®8 or Windows 7 drivers on http://www.support.hp.com 4 Intel® Optane™ memory (cache) is sold separately. Intel® Optane™ memory system acceleration does not replace or increase the DRAM in your system and requires configuration with an Intel® Core™ i+ processor. 5 vPro. Some functionality of this technology, such as Intel Active management technology and Intel Virtualization technology, requires additional 3rd party software in order to run. Availability of future "virtual appliances" applications for Intel vPro technology is dependent on 3rd party software providers. Compatibility future "virtual appliances" is yet to be determined. 6 Intel Turbo Boost performance varies depending on hardware, software and overall system configuration. See http://www.intel.com/technology/turboboost for more information. 7 Only 2 DIMM configurations run at 2400 MHz and 4 DIMM configurations run at 2133 MHz. 8 For storage drives, GB = 1 billion bytes. TB = 1 trillion bytes. Actual formatted capacity is less. Up to 36GB of system disk (for Windows 10) is reserved for system recovery software. 9 Optional or add-on feature 10 HD content required to view HD images. 11 Intel® HD graphics 630 is configurable as a standalone graphics option; Intel® HD graphics P630 only used when NVIDIA® Optimus™ Technology is enabled. 12 NVIDIA® Quadro® mobile professional graphics support up to four independent displays when using a HP ZBook Dock with Thunderbolt 3 (sold separately) or DP 1.2 hubs with MST. 13Wireless access point and Internet service required and sold separately. Availability of public wireless access points limited. The specifications for the 802.11ac WLAN are draft specifications and are not final. If the final specifications differ from the draft specifications, it may affect the ability of the system to communicate with other 802.11ac WLAN devices. 14 3 DisplayPort 1.2 in Performance model. 15 HP Client Security requires Windows and Intel® or AMD 7th or 8th generation processors. 16 HP Performance Advisor and HP Remote Graphics Software requires internet access. 17 EPEAT® registered where applicable. EPEAT registration varies by country. See www.epeat.net for registration status by country. Search keyword generator on HP’s 3rd party option store for solar generator accessories at www.hp.com/go/options. 18 Non-ECC memory is supported on all processors. ECC is only enabled on Xeon, Pentium and i3 core processors. 19 External power supplies, power cords, cables and peripherals are not low halogen. Service parts obtained after purchase may not be low halogen. 20 Some devices for academic use will automatically be updated to Windows 10 Pro Education with the Windows 10 Anniversary Update. Features vary; see https://aka.ms/ProEducation for Windows 10 Pro Education feature information. 21 Intel® Optane™ memory (cache) is sold separately. Intel® Optane™ memory system acceleration does not replace or increase the DRAM in your system and requires configuration with an Intel® Core™ i+ processor. 22 1 Flexible I/O port with options: DP 1.2, HDMI, VGA, USB 3.1 Type C with Alt-DP mode, Thunderbolt 3.0, RJ-45 Ethernet (2nd LAN) or None 23 200W Power Supply and 230 W external power adapter in Performance Model only. 24 Intel® Optane™ available Fall 2018. 25 AMD Radeon™ Pro WX 4150 available Fall 2018. 26 HP BIOSphere Gen4 features may vary depending on the PC platform and configurations requires 8th Gen Intel® processors. 27 HP Manageability Integration Kit can be downloaded from http://www8.hp.com/us/en/ads/clientmanagement/overview.html 28 HP Client Security Suite Gen 4 requires Windows and Intel® or AMD 8th generation processors. 29 HP Sure Click is available on select HP platforms and supports Microsoft® Internet Explorer and Chromium™. Check http://h20195.www2.hp.com/v2/GetDocument.aspx?docname=4AA7-0922ENW for all compatible platforms as they become available. 30 HP Sure Start Gen4 is available on HP Workstation products equipped with Intel® 8th generation processors. 31 HP Sure Run is available on HP Workstation products equipped with 8th generation Intel® or AMD® processors. 32 HP Sure Recover is available on HP Workstations with 8th generation Intel® or AMD processors and requires an open, wired network connection. Not available on platforms with multiple internal storage drives, Intel® Optane™. You must back up important files, data, photos, videos, etc. before using HP Sure Recover to avoid loss of data. 33 External power supplies, power cords, cables and peripherals are not Low Halogen. Service parts obtained after purchase may not be Low Halogen. 34 Configurations with the Xeon E-2124G, E-2126G, E-2136, E-2144G, 2174G and E-2176G offered on the Mini Performance model only. 35 HP Z2 Mini G4 Workstation can only support one storage device: either one SATA or one NVMe, not both. 36 Optane Memory not supported with non-Core Pentium Processors. 37 1 extra DisplayPort™, 1 USB Type-C™ on performance model. 1 Optional or configurable feature. 2 Mounting hardware sold separately. 3 HP Sure Start Gen4 is available on HP Workstation products equipped with 8th generation Intel® or AMD processors. 4 HP Manageability Integration Kit Gen2 can be downloaded from http://www8.hp.com/us/en/ads/clientmanagement/overview.html. 5 1 Not all features are available in all editions or versions of Windows. Systems may require upgraded and/or separately purchased hardware, drivers, software or BIOS update to take full advantage of Windows functionality. Windows 10 is automatically updated, which is always enabled. ISP fees may apply and additional requirements may apply over time for updates. See http://www.windows.com 2 Multicore is designed to improve performance of certain software products. Not all customers or software applications will necessarily benefit from use of this technology. Performance and clock frequency will vary depending on application workload and your hardware and software configurations. Intel’s numbering, branding and/or naming is not a measurement of higher performance. 3 In accordance with Microsoft’s support policy, HP does not support the Windows® 8 or Windows 7 operating system on products configured with Intel and AMD 7th generation and forward processors or provide any Windows®8 or Windows 7 drivers on http://www.support.hp.com 4 Intel® Optane™ memory (cache) is sold separately. Intel® Optane™ memory system acceleration does not replace or increase the DRAM in your system and requires configuration with an Intel® Core™ i+ processor. 5 vPro. Some functionality of this technology, such as Intel Active management technology and Intel Virtualization technology, requires additional 3rd party software in order to run. Availability of future "virtual appliances" applications for Intel vPro technology is dependent on 3rd party software providers. Compatibility future "virtual appliances" is yet to be determined. 6 Intel Turbo Boost performance varies depending on hardware, software and overall system configuration. See http://www.intel.com/technology/turboboost for more information. 7 Only 2 DIMM configurations run at 2400 MHz and 4 DIMM configurations run at 2133 MHz. 8 For storage drives, GB = 1 billion bytes. TB = 1 trillion bytes. Actual formatted capacity is less. Up to 36GB of system disk (for Windows 10) is reserved for system recovery software. 9 Optional or add-on feature 10 HD content required to view HD images. 11 Intel® HD graphics 630 is configurable as a standalone graphics option; Intel® HD graphics P630 only used when NVIDIA® Optimus™ Technology is enabled. 12 NVIDIA® Quadro® mobile professional graphics support up to four independent displays when using a HP ZBook Dock with Thunderbolt 3 (sold separately) or DP 1.2 hubs with MST. 13Wireless access point and Internet service required and sold separately. Availability of public wireless access points limited. The specifications for the 802.11ac WLAN are draft specifications and are not final. If the final specifications differ from the draft specifications, it may affect the ability of the system to communicate with other 802.11ac WLAN devices. 14 3 DisplayPort 1.2 in Performance model. 15 HP Client Security requires Windows and Intel® or AMD 7th or 8th generation processors. 16 HP Performance Advisor and HP Remote Graphics Software requires internet access. 17 EPEAT® registered where applicable. EPEAT registration varies by country. See www.epeat.net for registration status by country. Search keyword generator on HP’s 3rd party option store for solar generator accessories at www.hp.com/go/options. 18 Non-ECC memory is supported on all processors. ECC is only enabled on Xeon, Pentium and i3 core processors. 19 External power supplies, power cords, cables and peripherals are not low halogen. Service parts obtained after purchase may not be low halogen. 20 Some devices for academic use will automatically be updated to Windows 10 Pro Education with the Windows 10 Anniversary Update. Features vary; see https://aka.ms/ProEducation for Windows 10 Pro Education feature information. 21 Intel® Optane™ memory (cache) is sold separately. Intel® Optane™ memory system acceleration does not replace or increase the DRAM in your system and requires configuration with an Intel® Core™ i+ processor. 22 1 Flexible I/O port with options: DP 1.2, HDMI, VGA, USB 3.1 Type C with Alt-DP mode, Thunderbolt 3.0, RJ-45 Ethernet (2nd LAN) or None 23 200W Power Supply and 230 W external power adapter in Performance Model only. 24 Intel® Optane™ available Fall 2018. 25 AMD Radeon™ Pro WX 4150 available Fall 2018. 26 HP BIOSphere Gen4 features may vary depending on the PC platform and configurations requires 8th Gen Intel® processors. 27 HP Manageability Integration Kit can be downloaded from http://www8.hp.com/us/en/ads/clientmanagement/overview.html 28 HP Client Security Suite Gen 4 requires Windows and Intel® or AMD 8th generation processors. 29 HP Sure Click is available on select HP platforms and supports Microsoft® Internet Explorer and Chromium™. Check http://h20195.www2.hp.com/v2/GetDocument.aspx?docname=4AA7-0922ENW for all compatible platforms as they become available. 30 HP Sure Start Gen4 is available on HP Workstation products equipped with Intel® 8th generation processors. 31 HP Sure Run is available on HP Workstation products equipped with 8th generation Intel® or AMD® processors. 32 HP Sure Recover is available on HP Workstations with 8th generation Intel® or AMD processors and requires an open, wired network connection. Not available on platforms with multiple internal storage drives, Intel® Optane™. You must back up important files, data, photos, videos, etc. before using HP Sure Recover to avoid loss of data. 33 External power supplies, power cords, cables and peripherals are not Low Halogen. Service parts obtained after purchase may not be Low Halogen. 34 Configurations with the Xeon E-2124G, E-2126G, E-2136, E-2144G, 2174G and E-2176G offered on the Mini Performance model only. 35 HP Z2 Mini G4 Workstation can only support one storage device: either one SATA or one NVMe, not both. 36 Optane Memory not supported with non-Core Pentium Processors. 37 1 extra DisplayPort™, 1 USB Type-C™ on performance model. 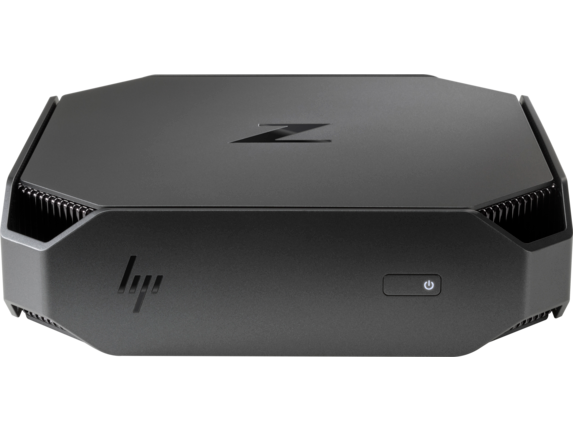 Accelerate your workflow with the world’s first mini workstation created for designers: the HP Z2 Mini, our revolutionary HP CAD workstation. 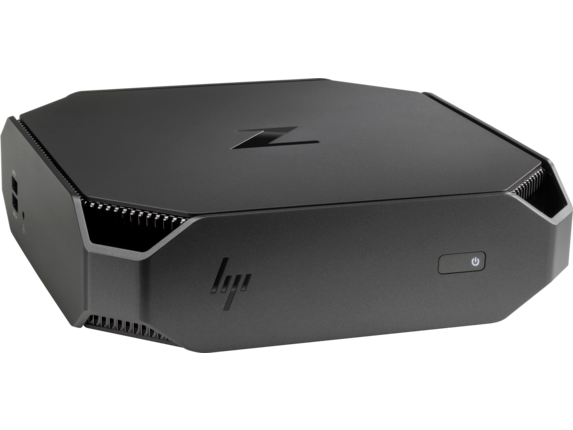 Meticulously crafted for the consistency and performance you need when working on sensitive CAD or BIM projects, the HP Z2 Mini is a watershed in miniature desktop PC design. Compact, loaded for a full-feature work experience, and boasting a surprisingly elegant new exterior design, it can fit seamlessly into any design routine. It can also find a discreet spot in any office environment thanks to its small measurements and extensive VESA mounting options. Our HP Mini tower workstation is setup for tool-less access as well, just in case you ever need to check the interior. Curious to know more about our AEC-optimized HP Z workstation lines? Check out our overview. 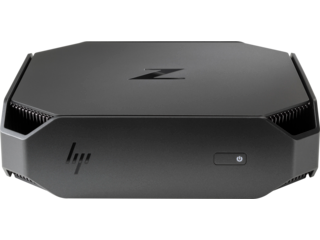 Where processing power is concerned, the HP Z2 Mini is in a class of its own. You’ll speed through start-up and surpass those familiar response times thanks to HP Z Turbo Drive and your choice of current and next-gen Intel® Xeon® processor options. Alongside optional NVIDIA® Quadro® M620 graphics and up to 512GB of PCIe storage or 1.5TB of total storage, you’ll have plenty to count on under the hood. The HP Z2 Mini may be small enough to carry in one hand, but we’ve designed it for the long haul. It’s also gone through 368,000 hours of testing to make sure that you won’t have to deal with the unexpected. Worried about overtaxing your hardware on complex projects? To keep things cool on more powerful configurations, we’ve designed whisper-quiet internal fans to provide optimized airflow. The HP Z2 Mini also has Energy Star® certification, which means the machine has a small carbon footprint and you have a lower energy bill. While the HP Z2 Mini’s starting model is an affordable entry into seriously powerful computing, we have plenty of additional options to fit your budget and provide just the right tool for your job. 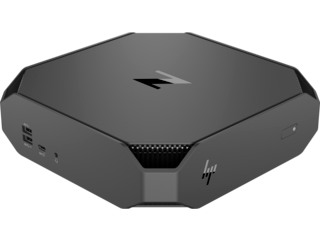 If the HP Mini tower workstation isn’t the right configuration for your work or you want something even more compact, you can start off with our super-affordable HP 260 Mini line. Powered by your choice of either a 6th Generation Intel® Core™ i3 or i5 processor, it’s everything you need and nothing you don’t. For extra processing capacity in the same slim measurements, try the customizable HP EliteDesk 705 Mini desktop computer. It’s built with integrated graphics and a range of business-friendly manageability features. Whether you opt for our HP CAD Workstation or another desktop mini, you can count on reliability and performance from a PC that can almost fit in your pocket.